Your prayers and financial support are always welcome. You may donate using the form below. Payments are processed securely via PayPal, the number one online payment provider. However, you do not need a PayPal account to complete the donation. Thank you. 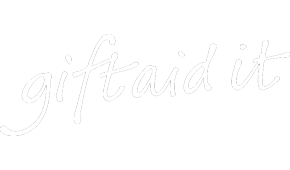 Gift Aid increases the value of your donations and means charities can benefit even more at no extra cost to you. If you're a UK taxpayer, add Gift Aid whenever you make a donation and the charity can reclaim the basic rate of tax on your gift - that's a whopping 25p for every £1 you give. Elim Pentecostal Church, Rushey Green, is entitled to reclaim the tax made on gifts by UK tax payers. 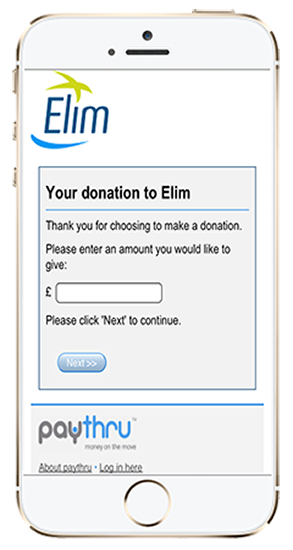 You can now GIVE using your SMARTPHONE. Just TEXT CC024 TO 64647 and follow the instructions – it’s fast and simple – all done in about 5 mins. The first time you give this way, you can choose to securely store your card details by PayThru, so future donations will be even much simpler and faster. Go on, try it today. TEXT CC024 TO 64647. Texts are charged at your mobile provider’s published rates. Whatever Works for YouWe accept PayPal and Mobile payment.